GS Gallery - CITROËNVIE !CITROËNVIE ! The GS, launched in 1970, was voted European Car of the Year for 1971 and was the most technologically advanced car in its class. It filled the gap between Citroën’s economy 2CV /Ami models and luxurious DS range. It offered the new flat-4 air-cooled engine and a hydraulic suspension system similar to the DS in a design package that was modern and incredibly efficent. The GS met with instant market acceptance and was the largest selling Citroën model for many years. 1,896,742 GS models and 576,757 GSA models were produced in total. Visually the GS bore little resemblance to any other car on the market, until the development of the Citroën CX in 1974. The GS was designed “in house” by Robert Opron (who also designed the SM and the CX) and was controversial — a hatchback layout was considered too utilitarian by CEO Pierre Bercot, but was introduced later with the arrival of the GSA. The trunk was nevertheless exceptionally large, in part due to the positioning of the spare wheel on top of the engine. The GS was offered in two trim levels; GS Club as the entry model and GS Pallas (only sedans) with full wheel covers, side moldings, tinted glass and upgraded upholstery. The GS was also available, from September 1971 as a break (estate) and a similar two-door “service” van. The GSA replaced the GS in 1979 and added a hatchback as well as upscale amenities. It also had a revised dashboard with the auxiliary controls on column-shaped pods so they could be reached without moving the hands from the single-spoked steering wheel; similar to the CX layout. Both the early GS (produced until 1976) and the GSA have the unusual rotating drum speedometer, rather than the dial type found conventional dashboard. The later GS (from 1977 until the introduction of the GSA) had a conventional speedometer. Citroën introduced a GS Birotor (featuring a 2 rotor Wankel engine) for a brief period in 1973. Due to high price but more notably poor engine seals that lasted about 10,000 km, it was quickly pulled from the market after 847 units sold. 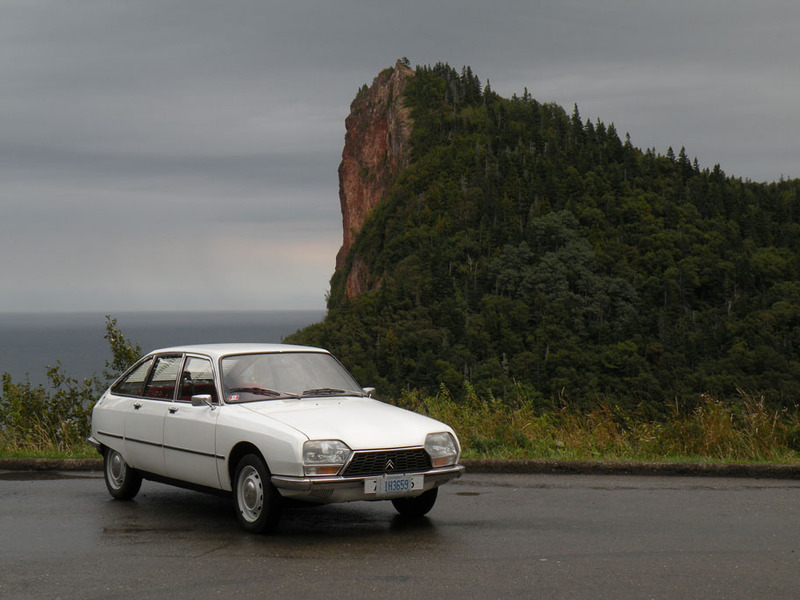 Citroën attempted to buy back and scrap each Birotor, as it did not want to support the model with spare parts. A few of these remarkable vehicles have nonetheless survived in the hands of collectors. The GS was never officially imported to the North America, though some demonstrators were brought over and, in Canada at least, the six imported were sold to Citroën employees.